A last-ditch effort to move California online poker legislation forward in the last days of the state’s current session has brought the reintroduction of two new amendments, including language that would effectively bar world online-poker leader PokerStars from the state for the first five years following legalization. News of the latest amendments surfaced in multiple media outlets overnight. A required third reading of AB 2863, the measure that would legalize online poker in California, is scheduled for today. This reading is slated to include the two latest amendments. And a possible vote of AB 2863 before California’s full Assembly may happen as early as Monday. 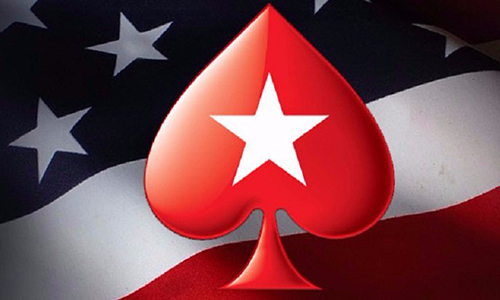 The contents of the two latest amendments include continuing movement on the controversial “bad actor” situation centered on PokerStars’ previous US-facing operations from late 2006 (the passage date of the US’s “UIGEA” law to April of 2011. One of the two amendments reportedly inserted into the latest iteration of AB 2863 calls for a mandatory five-year sitout for any firm operating in the US, post-UIGEA. That penalty directly applies to PokerStars. A related proposal, that a company could possibly buy out from the mandatory sitout period in exchange for a $20 million payment to California’s, is not part of the latest amendments. That would leave a site as PokerStars with no avenue to participate in the market. The amendment was reportedly jammed into AB 2863 by the hardline Pechanga / Agua Caliente tribal coalition. That seven-tribe coalition has been joined by three others in the latest push; these tribes have opposed PokerStars on the topic for years. The hardline Pechanga coalition vowed to block the earlier version of AB 2863, which lacked the Stars-blocking provision, promising a concerted fight over any full Assembly consideration of AB 2863. That came after a version of AB 2863 lacking the Stars-banning language successfully passed earlier votes in the Assembly’s Governmental Organization (“GO”) and Appropriations committees. The second amendment reportedly inserted into AB 2863 involves a flattening of the tax rate to be charged against licensed operators. Originally, AB 2863 incorporated a progressive tax-rate program starting at 8.64% of gross gaming revenue [GGR], and climbing to as high as 15% for the highest-volume operators. The latest amendment changes that to a flat 10% rate across the board, which would significantly favor the largest operators in a future market. Such operators include the Pechanga and Agua Caliente tribal casinos, which operate two of the largest casino properties in California. Still included in AB 2863, and yet to be challenged by any consumer-watchdog groups, is language which allows tribal nations’ claims of sovereignty to be extended into the online sphere, even though online players in the state would be participating from their own residences. 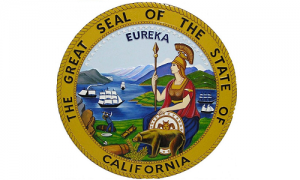 The only limited waiver of sovereignty within AB 2863 applies only to state regulators. As a result, most California online-poker consumers would have little legal recourse in matters of dispute (should any arise), with only an unwieldly state-regulatory process as a likely avenue of claim. The situation promises to set up a repeat of the legal tribal-sovereignty battle which continues to take place in the US’s controversial — and, some would argue, consumer-unfriendly — payday-loan industry. From the consumer’s perspective, and barring significantly lower rake or higher secondary rewards on authorized tribal-poker sites, it would be hard that Californians should play anywhere other than at sites offered by cardrooms such as Commerce, Hawaiian Gardens or the Bicycle. PokerStars parent Amaya did not respond to request for comment regarding the latest amendments made to AB 2863 before this story’s publication. Flushdraw will update the story as events warrant. Whatever happens in California will come to a head next week, since AB 2863 must pass soon to receive Senate consideration before the end of the month.